This species is accepted, and its native range is Niger to Eritrea and S. Africa, S. Mexico to Tropical America. Nativa en Colombia; Alt. 0 - 500 m.; Orinoquia. Annual. Culms geniculately ascending, or decumbent; 20-80 cm long. Ligule a ciliate membrane. Leaf-blade base amplexicaul. Leaf-blades ovate; 8-12 cm long; 10-25 mm wide; membranous. Leaf-blade venation with distinct cross veins. 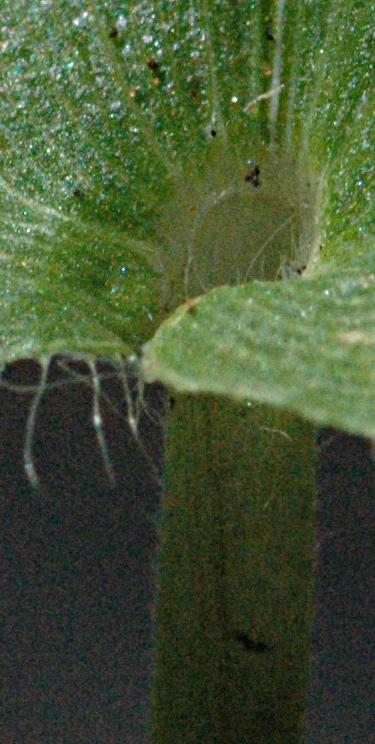 Leaf-blade surface pilose. 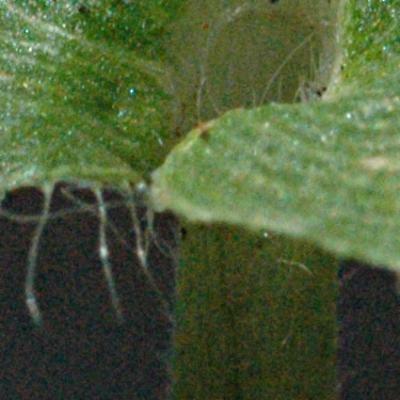 Leaf-blade apex acute. 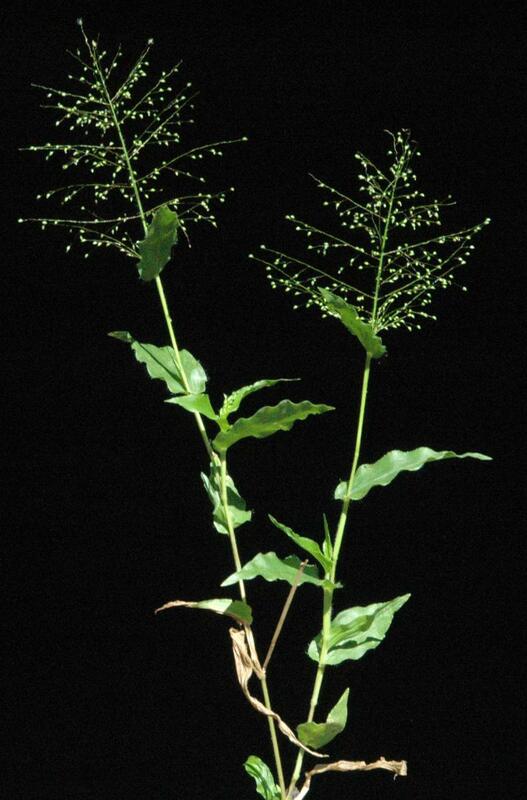 Inflorescence a panicle. Panicle open; oblong, or ovate; dense; 7-15 cm long. 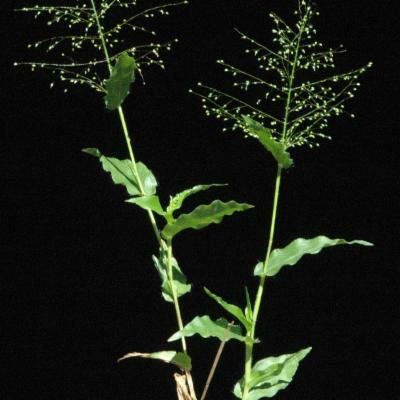 Primary panicle branches spreading. Panicle branches capillary; tangled; glandular. Spikelets solitary. Fertile spikelets pedicelled. Spikelets comprising 1 basal sterile florets; 1 fertile florets; without rhachilla extension. 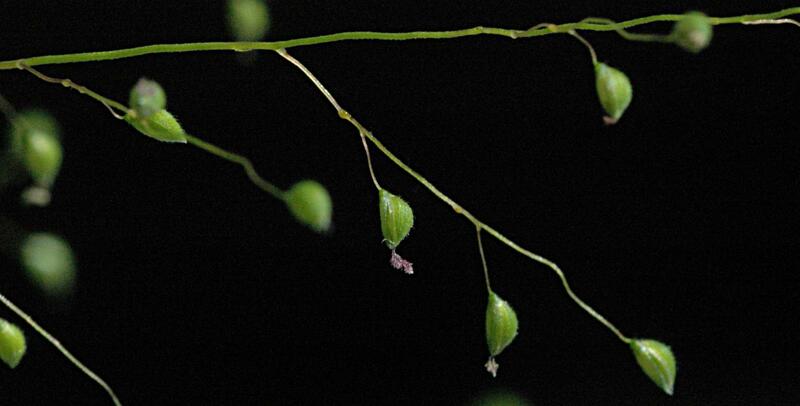 Spikelets ovate; straight, or tilted on the pedicel; dorsally compressed; gibbous; acute; 1.5 mm long; falling entire. Glumes dissimilar; reaching apex of florets; thinner than fertile lemma. 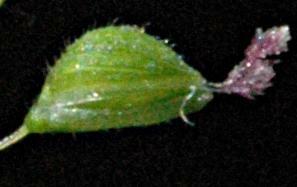 Lower glume oblong; 1 length of spikelet; membranous; without keels; 3 -veined. Lower glume surface pubescent, or pilose. Lower glume apex acute. Upper glume ovate; 1 length of spikelet; herbaceous; without keels; 5 -veined. Upper glume surface pubescent, or pilose. Upper glume apex acute. Basal sterile florets barren; with palea. Lemma of lower sterile floret similar to upper glume; ovate; 1 length of spikelet; hyaline; 5 -veined; acute. Fertile lemma oblong; dorsally compressed; 1 mm long; indurate; pallid; without keel. Lemma surface papillose. Lemma margins involute. Lemma apex obtuse. Palea involute; indurate. Africa: west tropical, west-central tropical, northeast tropical, east tropical, southern tropical, and south. South America: Mesoamericana, Caribbean, northern South America, western South America, and Brazil. Annual; culms 20–80 cm. long, erect or ascending from a decumbent base. 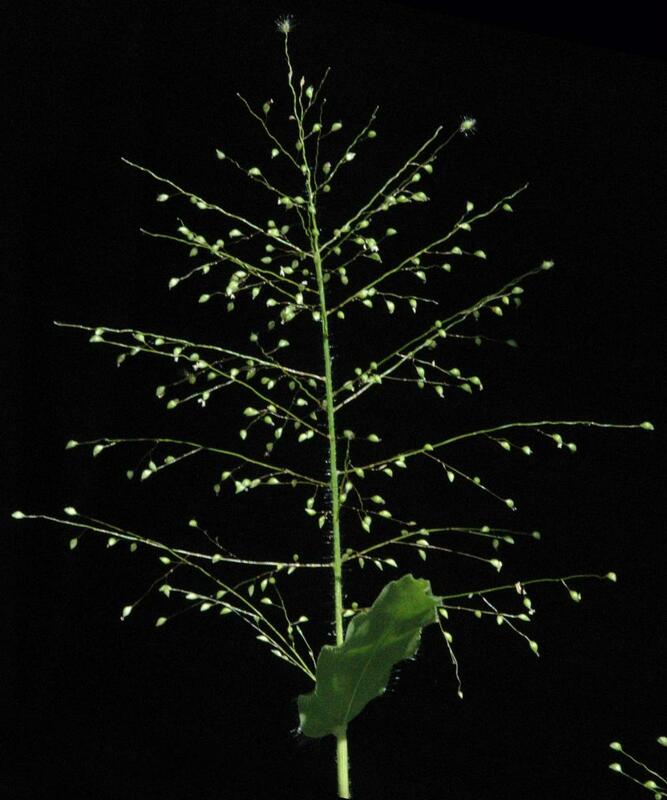 Leaf-blades ovate or narrowly ovate, 8–12 cm. long, 10–25 mm. wide, amplexicaul, thin, cross-veins present, pilose, finely acute. 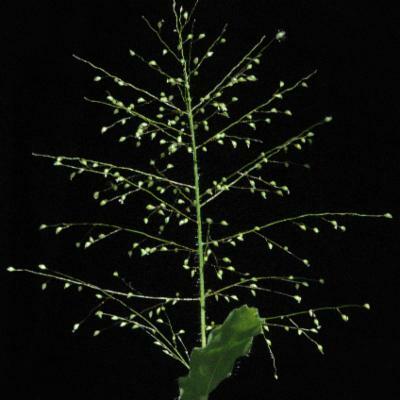 Panicle ovate to oblong, 7–15 cm. 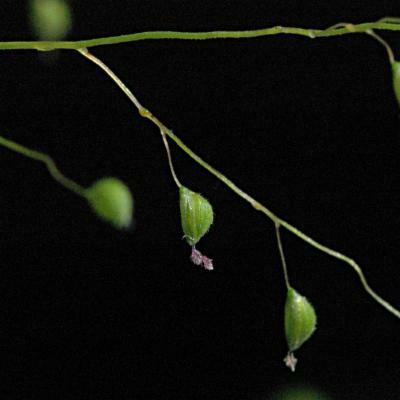 long, finely and densely branched, the branches spreading and appearing somewhat tangled, the spikelets often bent at right-angles to the pedicel, glandular patches usually conspicuous on the branches. 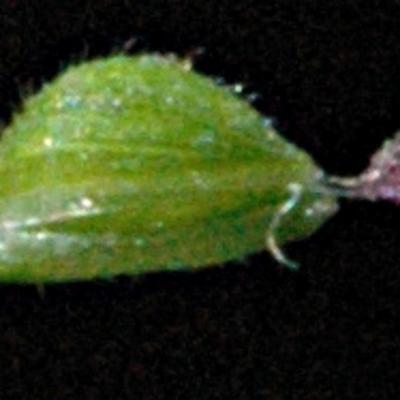 Spikelets ovate, 1.5 mm. long, asymmetrical, sparsely to densely pubescent or pilose, slightly apiculate; lower glume oblong, as long as the spikelet, 3-nerved; upper glume ovate, herbaceous, 5-nerved; lower lemma hyaline, 5-nerved, sterile, its palea well developed; upper lemma pale, verruculose. 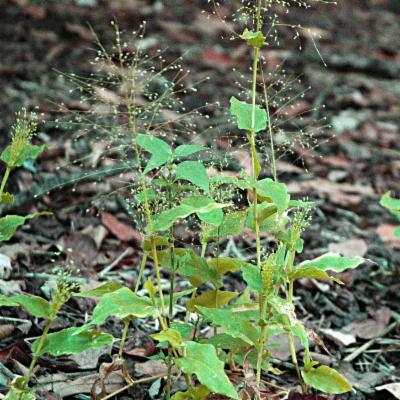 Deciduous bushland or wooded grassland on poor, sandy soils; 30–1700 m.
Annual with culms 20–80 cm. long, erect or ascending. Leaf laminae 8–12 cm. long and 10–25(40) mm. wide, ovate or narrowly ovate, amplexicaul, thin, acute or acuminate. 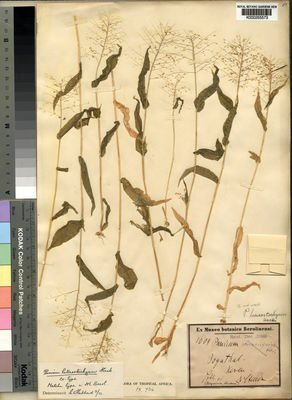 Panicle 4–15 cm. 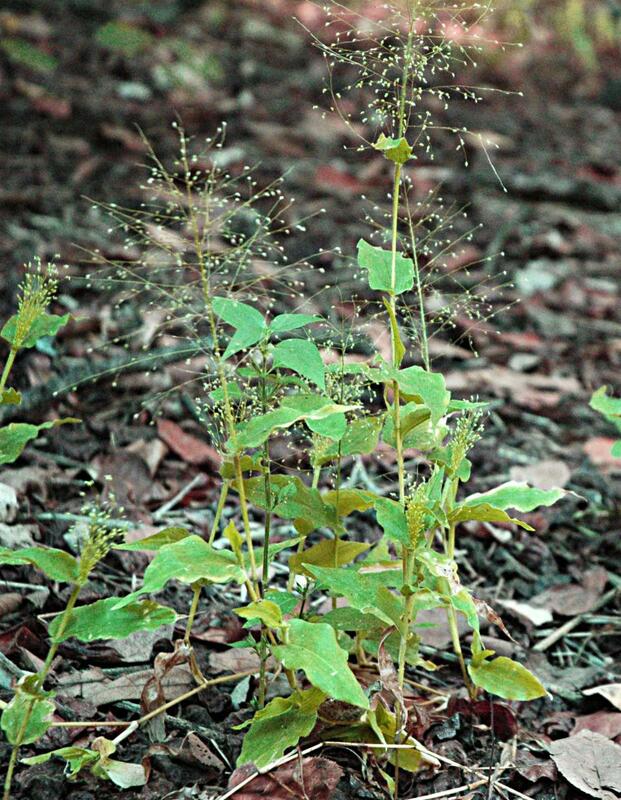 long, much-branched, the branches rather stiff and bearing conspicuous glandular patches. Spikelets 1.5 mm. long, asymmetrically ovate, sparsely to densely pubescent or pilose; inferior glume as long as the spikelet, 3-nerved; superior glume 5-nerved; inferior lemma hyaline, 5-nerved, its palea moderately developed, sterile; superior lemma and palea membranous, not glossy, scaberulous.